Ruth is thirty two years old and doesn't know if she wants to be thirty three. Her meticulously-ordered lonely life as a microbiologist is starved of pleasure and devoid of meaning. She decides to give herself three months to decide whether or not to end her life, and we read her daily diary as she struggles to make sense of her past and grapples with the pain of the present. 'Thaw' explores what makes any of our lives worth living. Can Red, the eccentric Russian artist Ruth commissions to paint her portrait, find a way to warm her frozen heart? 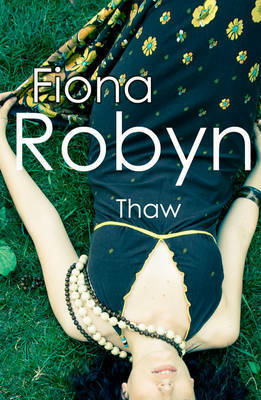 Fiona Robyn is a writer and a blogger. She writes to help herself and other people to pay attention, and because she loves to. She writes a daily blog at www.asmallstone.com and a blog about being a writer at www.plantingwords.blogspot.com. She collects other people's small stones at http://ahandfulofstones.blogspot.com. She lives happily in rural Hampshire in the UK with her partner, her cats Silver and Fatty, and her vegetable patch.